When a design has endured for 40 years and is still just as cool today, it has truly earned the title 'iconic'. 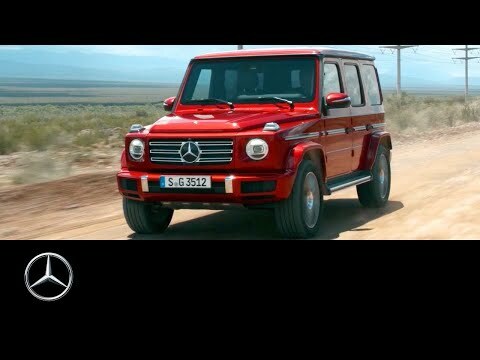 There's no mistaking the identity of the Mercedes-Benz G-Class - and for on and off-road performance, nothing comes close. The incredibly spacious interior is trimmed with premium materials and newly designed seats upholstered in the finest nappa leather provide outstanding comfort. There is even an optionally available massage function. You can select from 8 ambient lighting schemes to suit your mood and listen to your favourite tracks on the optional Burmester® surround sound audio system. The new COMAND Online multimedia system gives access to the navigation system, telephone, music and online functions using the LIGUATRONIC voice activated control system if you wish.